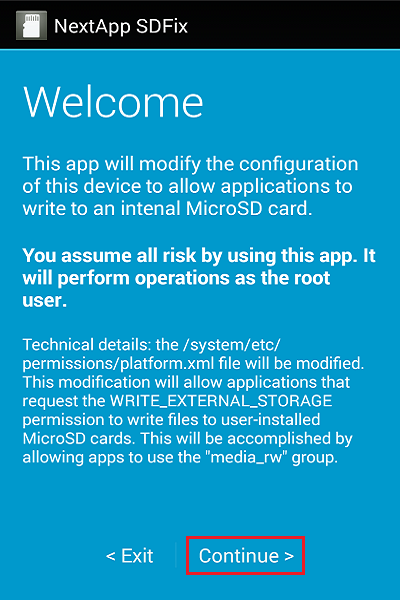 Android 4.4 KitKat has greatly improved its performance and feature, but Google has made terrible changes to SD Card write access that causes apps to fail to write anywhere in sd card. 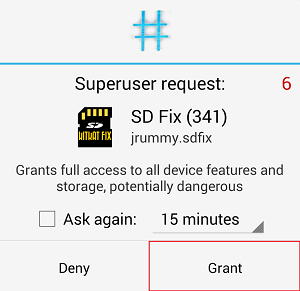 The easiest solution is to download and install Android App for SD Card Fix from Google Play. 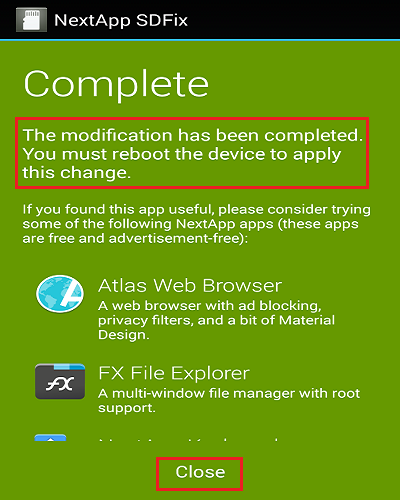 This solution requires KitKat (Android 4.4) firmware and must be rooted. 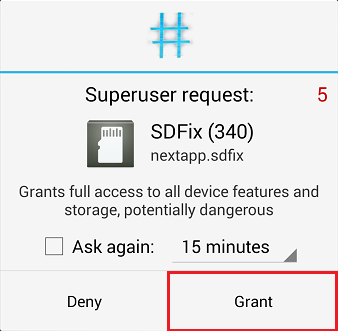 In this tutorial, choose one of SD Card Fix App listed to resolve SD Card write access. 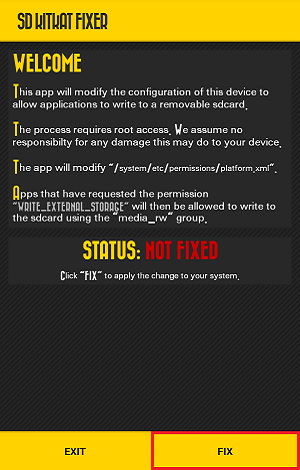 S4.SD Card Fix App is completed and reboot your device. 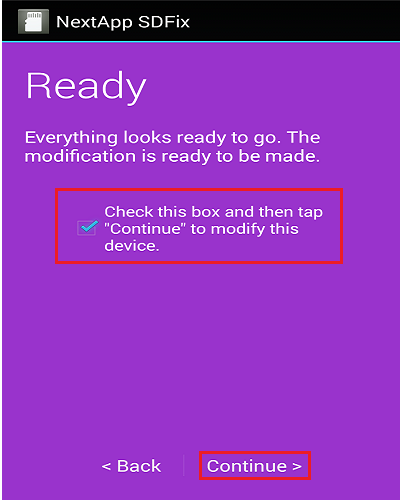 S3. 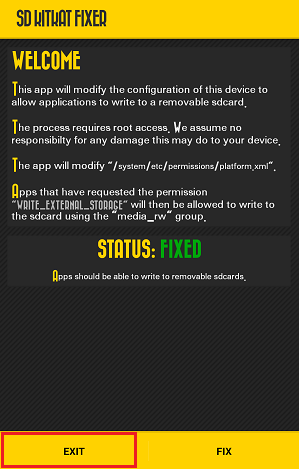 SD Card Fix App is completed and reboot your device.